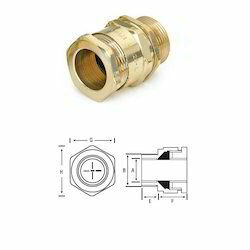 The range of A1/A2 cable glands which we offer is designed with outer displacement seals. Fabricated form raw quality proven raw materials these are widely used for armored cables with rubber outer sheath. These cables can tolerate all kinds of weather and are known for their sustainability against water. Looking for A1 - A2 Cable Gland ?